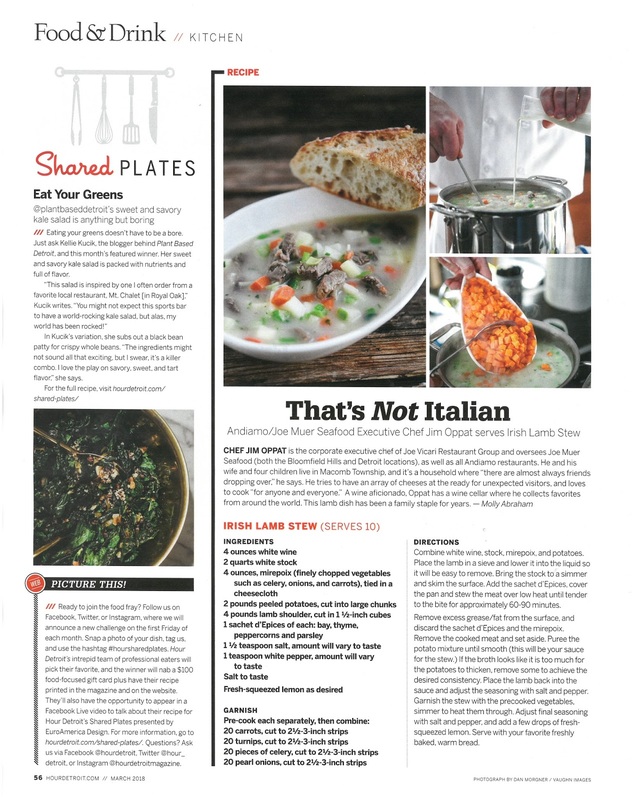 This month my recipe for Sweet & Savory Kale Salad was selected to be the Shared Plates feature in Hour Detroit Magazine! It's just a little blurb, but exciting no less! I'll take any opportunity to promote a vegan diet. Along with being featured in the magazine, Hour also asked me to participate in a FaceBook Live video stream of a recipe demo - eek! It was my first time doing anything of the sort, so I was definitely nervous to be stepping out of my comfort zone. Luckily the whole team at hour was awesome and made it so easy and fun! I have to admit, I still haven't watched the full video myself, but I've included it below should you want to!